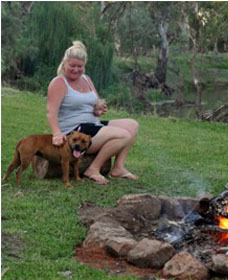 Located off the highway, this quiet bush setting offers a relaxing stay. 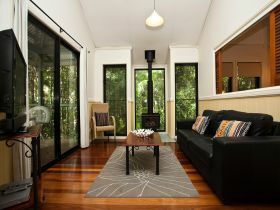 Cabin styles range from studio, two and three bedroom. 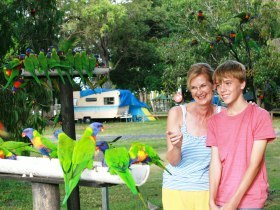 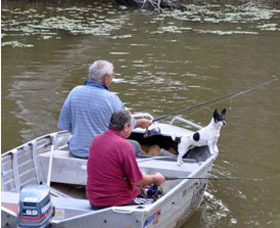 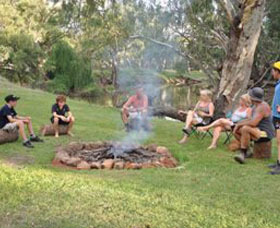 Shaded and drive through sites, along with spacious camping grounds are a feature. 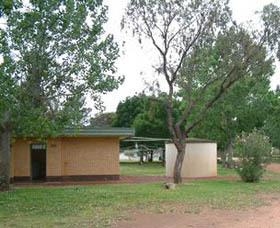 Oasis has no disabled facilities. 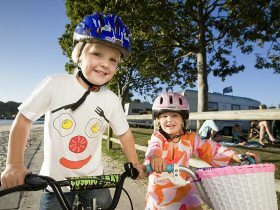 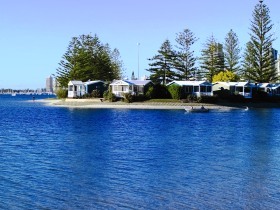 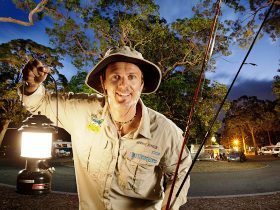 Broadwater Tourist Park is located directly on the water's edge of the beautiful Gold Coast Broadwater. 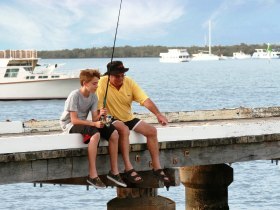 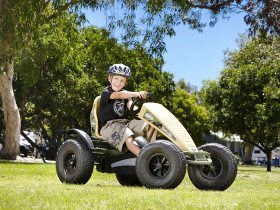 The park has enviable views southwards towards the high-rises of Surfers Paradise, the Southport Yacht Club, directly across to Sea World and Marina Mirage shopping centre, and northwards towards South Stradbroke Island and Runaway Bay. 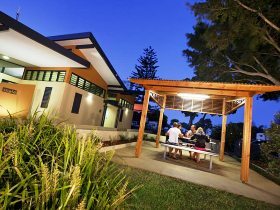 Burleigh Beach Tourist Park is located in beautiful Burleigh Heads just across the road from the surf beach. 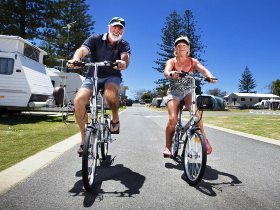 Apart from being renowned for its' appeal to surfers, Burleigh is popular with all ages for its village-like atmosphere and easy stroll to the shops, restaurants and the beach. 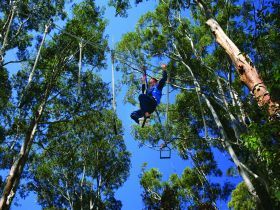 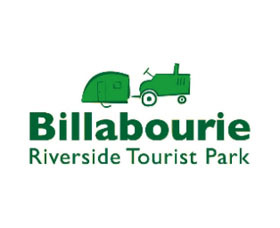 Another attraction of Burleigh is the picturesque National Park with scenic bushwalks overlooking the coastline of the Gold Coast. 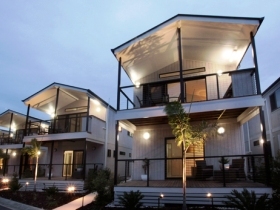 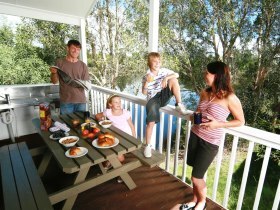 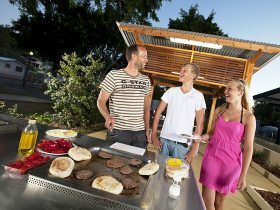 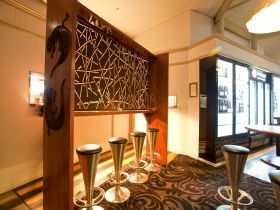 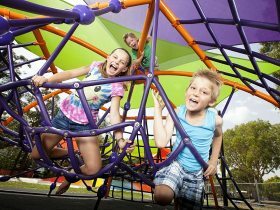 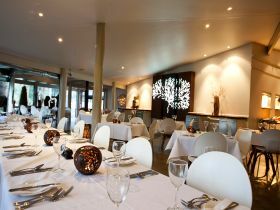 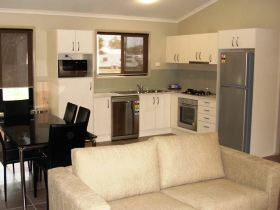 Burleigh is located within easy access to all the theme parks and other Gold Coast attractions. 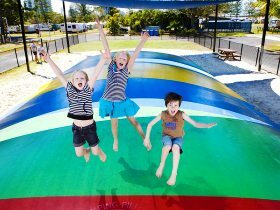 Gold Coast Tourist Parks Jacobs Well is situated on the waterfront looking out over the southern end of Moreton Bay. 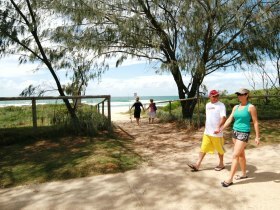 Kirra Beach Tourist Park is situated 300 metres from famous Kirra Beach at the southern end of the Gold Coast. 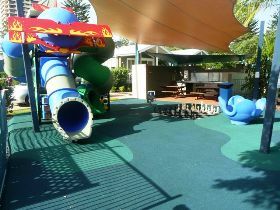 A spacious, open park this is the ideal place to bring the kids or all your friends for a group get away. 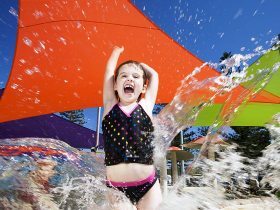 Facilities including a play-ground, pool, jumping pillow and recreation room, so no need to leave the park during your stay. 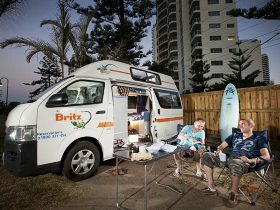 Main Beach Tourist Park is situated at the northern end of Surfers Paradise in the trendy Main Beach precinct. 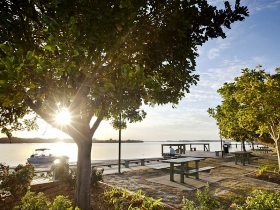 Walking distance to restaurants, shopping and cafes, this park is a little gem with its own resort-style pool and barbecue area. 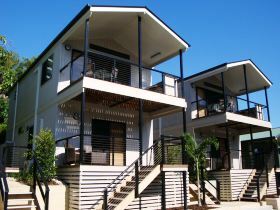 Ocean Beach Tourist Park is located right on the beach in Miami, nestled against the North Burleigh Headland. 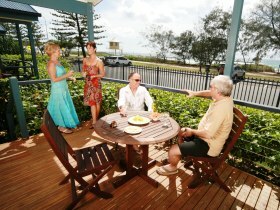 From this headland you can enjoy lovely views of Surfers Paradise to the north and Burleigh Heads to the south. 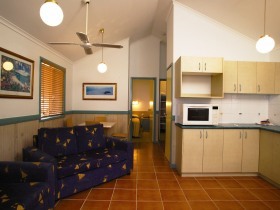 There are some adventurous walks through the bush plus excellent beach walking right out front. 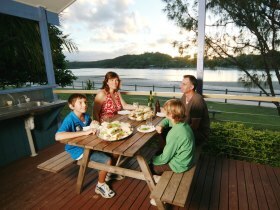 Tallebudgera Creek Tourist Park is located on the Tallebudgera Estuary and is an ideal holiday spot for families who love the water. 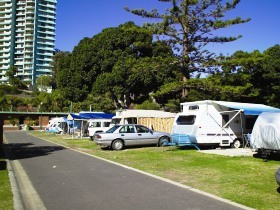 The front of the park has direct waterfront access. 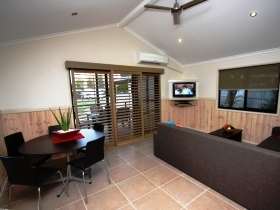 There is an enclosed swimming area plus a patrolled surf beach 300 metres from the park.